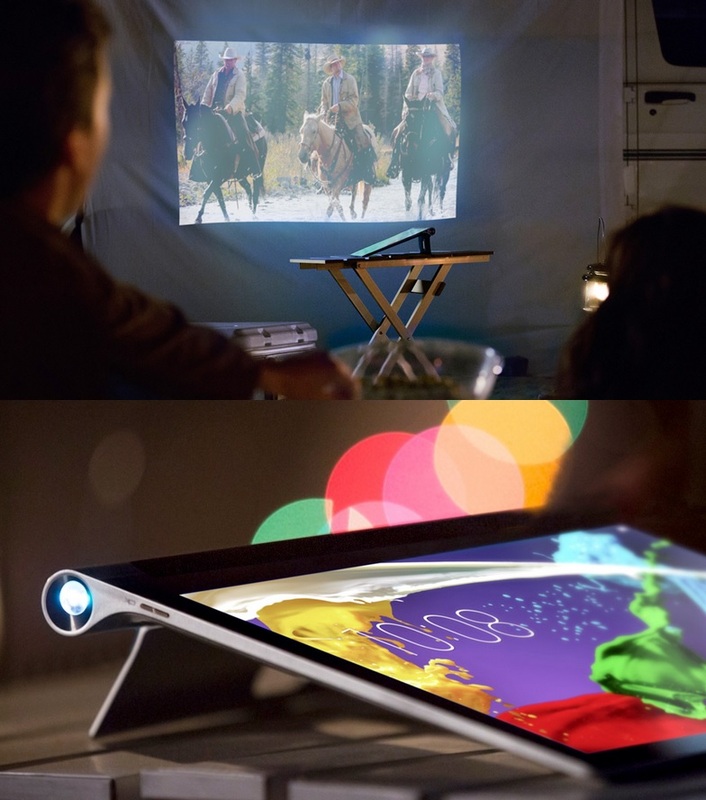 Lenovo Is Giving Us A Tablet With A Built-In Pico Projector! Over the course of the past few years, we’ve seen some pretty amazing breakthroughs with projectors and how we can actually use them. There have been many new makes and models to come out, each boasting different specs and functions. Even with all of the new projectors that come out though, they can still be looked at as an “unnecessary” commodity in the eyes of some. There’s not a huge sense of practicality for those that would only use it for business or the occasional movie night. To them it might be just an extra expense. Because of that however, we’ve been graced by projectors being incorporated into other tech devices, such as our smartphones. One that is a bit new to the table though, is a projector in a tablet. When you think about how much we use our tablets, both for business and for pleasure, there are certain ideas that would just… make sense. Tablets these days are used mainly for consuming content. Now mind you there are still some out there who use it for business purposes. Projectors have recently started to become more than just devices that throw images upon a wall or screen. They’re now holding hard drives and are capable of using apps, much like your tablet. The new Lenovo Yoga 2 tablet just cuts the middleman out all together and gives us a tablet with a built-in pico projector. It comes with 2 GB of RAM and 32GB of storage space to hold all sorts of apps, photos, movies, and games. It’s also working with a 4th gen Intel Atom processor with the Android KitKat 4.4 OS. The tablet is capable of throwing a 50 inch image for you and everyone else to enjoy. Needless to say, many of us who own tablets normally just surf the web, go on social media, and watch YouTube videos. Even still, if that is the case, there is nothing wrong with throwing up a 50 inch display of your favorite cat videos for you and your friends to cry laughing at. This isn’t to say that I’m pigeon-holing this product. There is still a high use business aspect of this device as well. It can be cumbersome to actually connect a tablet to a projector, so when you’re going to give your presentation at that board meeting, it might not go as well as you may have wanted. 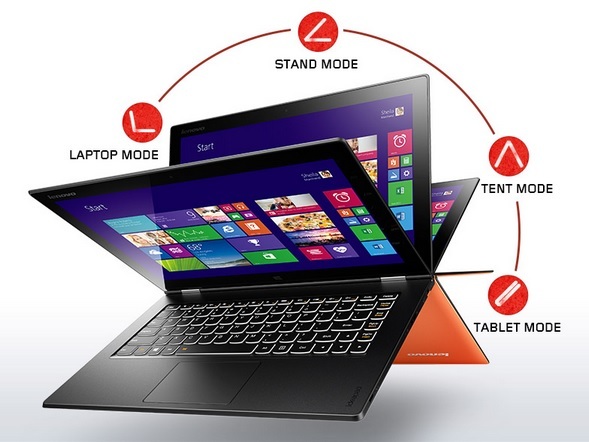 Now with the Lenovo Yoga 2, you don’t have to worry about that. Every corporate office deals with giving and receiving presentations. This tablet just makes your presentation giving a lot easier. Should We Expect This To Become The Norm? While this is still a really cool and practical (for once) concept, there is still a lot more to projectors than most people realize. To have a really good image, you not only need a good projector, but also a good screen to go along with it. With the new Lenovo tab, you’re not really going to be too worried about having a good screen however, because your tablet has a pico projector inside of it, and it should be enough to get the job done. Until companies are able to truly make something like a 4K short throw projector built-into an extremely fast and extremely light weight tablet, laptop, or wearable, I feel that it’s safe to say that this could be a one time thing. That being said, I’ve been wrong before. RentOurProjectors.com Has More Different Types Of Projectors In Stock Than You Even Knew Existed. RentOurProjectors Blog is proudly powered by WordPress and The Go Green Blog theme.